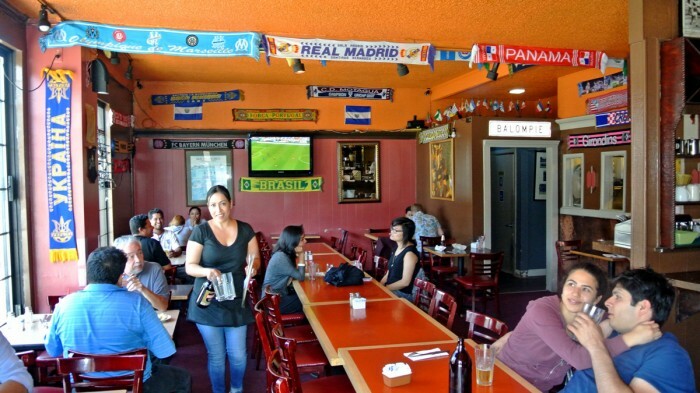 Down in the bustling primarily Mexican and hipster-filled Mission District, slightly off of the main drag is a nondescript El Salvadorian spot called Balompié Cafe. It doesn’t exactly fit into either of the neighborhood’s stereotypes because it’s neither trendy nor Mexican. 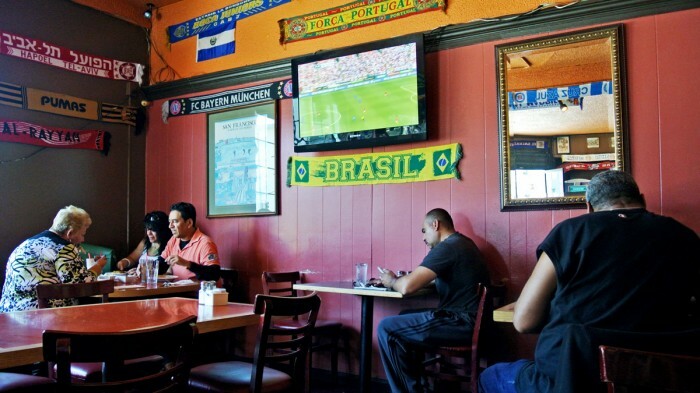 This El Salvadorian cafe is pretty no-frills and takes its fútbol seriously. Every one of the walls is covered in team flags and scarfs and yes, of course, the game is on every TV in the place. Yes, even when everyone is not in the midst of World Cup Fever. 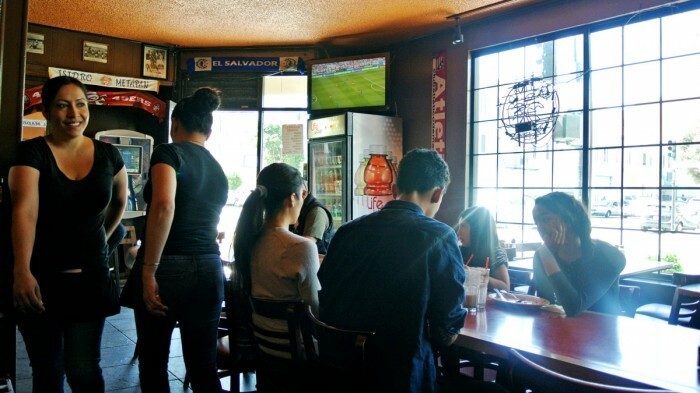 But at Balompié Cafe, they take their food even more seriously than their fútbol and has earned them quite the reputation for their rendition of the El Salvadorian specialties — pupusas. I know I said this place isn’t at all trendy, but it still manages to draw in a few hipster culinary adventurers from the neighborhood along with the primarily Spanish speaking locals. I showed up at an off-hour, around 4 PM on a Saturday, so the place was relatively calm and empty which I found super pleasant, though I imagine it gets pretty crazy there during games and peak dining hours. Even though my visit took place on a hot and sunny summer day, there was absolutely no A/C running so it was quite warm inside. 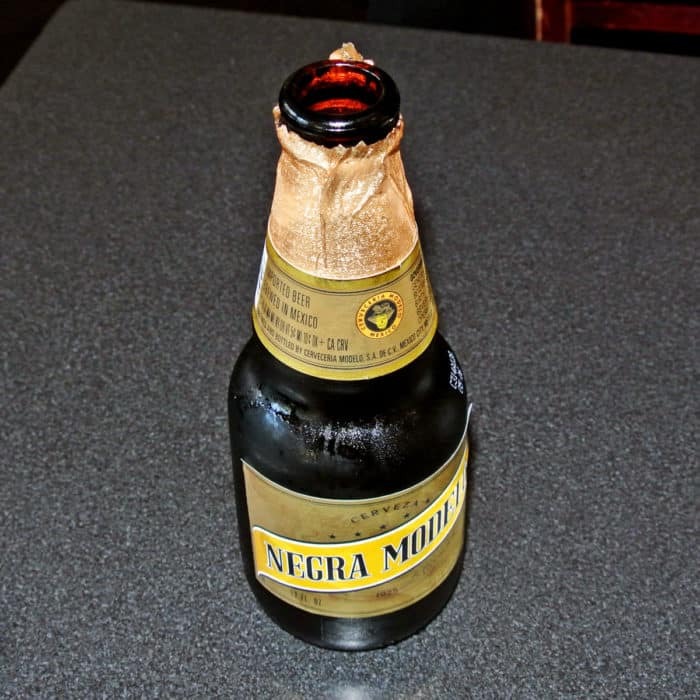 As soon as I was seated, I ordered myself a Negra Modelo to help cool off. It seemed like the most logical thing to do in that situation. 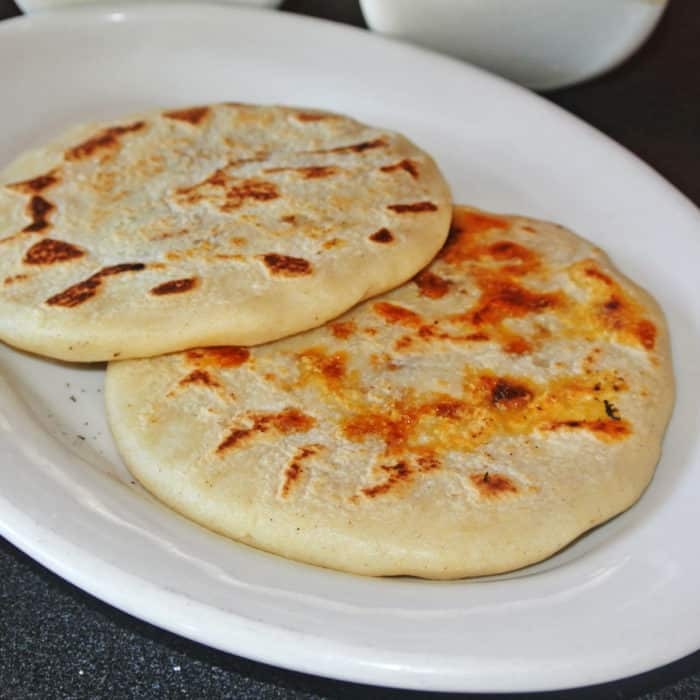 I knew going in that I wanted two pupusas, but wasn’t sure which ones I should order so I consulted my very friendly waitress for recommendations. She told me that the Chicharrón y Queso was the most popular and her favorite was the Chorizo y Queso. Well, those were the two that caught my eye so that’s exactly what I ordered. I started with the Chicharrón y Queso and damnnnnn was that good. 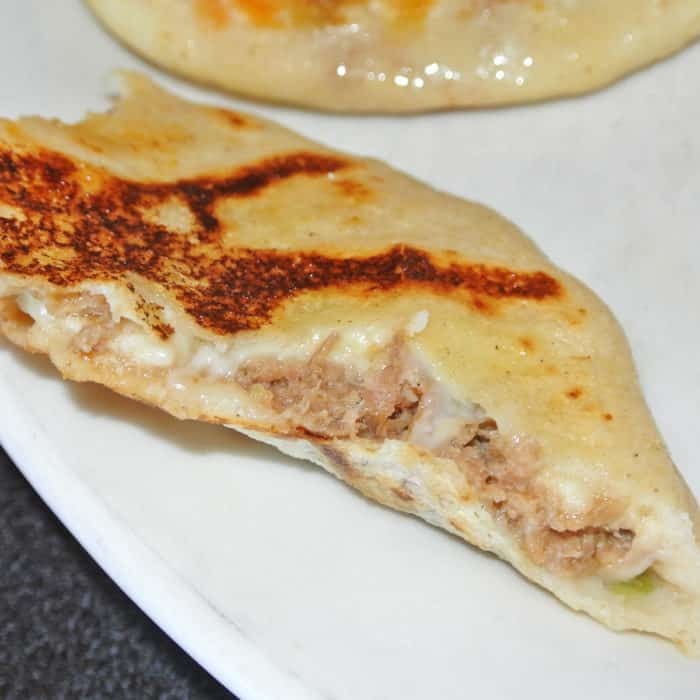 The hot, griddled pocket of masa was loaded with runny, salty, chunky white queso and plenty of tender, juicy, shredded pork. There was just a bit of minced pepper thrown in to add some heat too. 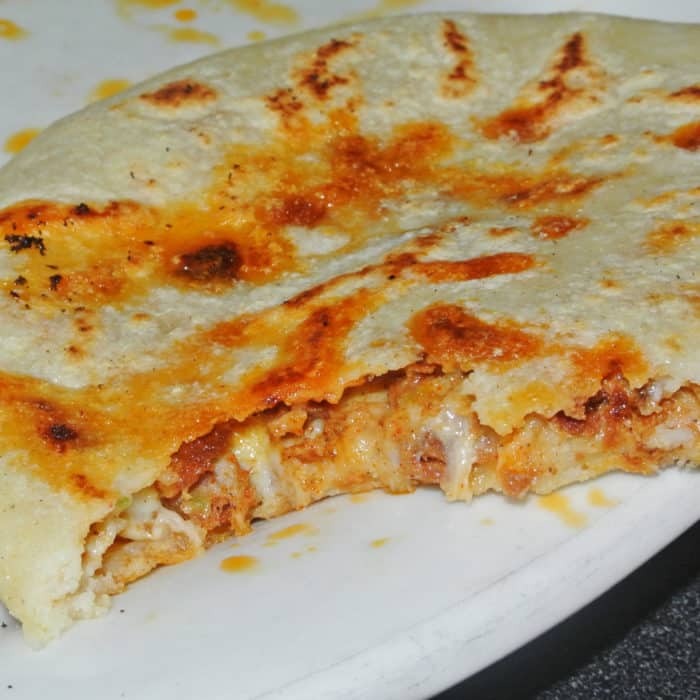 Another way you can think of this dish is that it’s the best quesadilla the world has ever seen. But from there, I moved on to the Chorizo y Queso Pupusa which I was even more excited about than the first. I’m a sucker for chorizo in anything and this pupusa had that distinctive orange glow I love so much leaking through the masa encasing. I was pretty certain this was gonna be awesome. And I wasn’t disappointed one bit. I freaking love chorizo and this cheesy handheld treat was fully loaded with the meaty, crumbly orange stuff. It took everything that was amazing about the first one and cranked up the deliciousness to eleven. 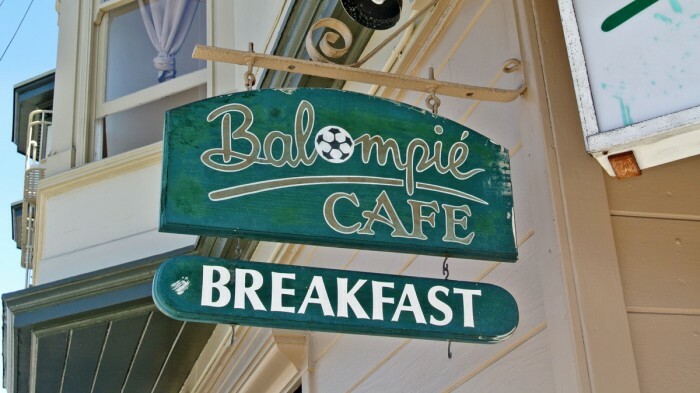 So if you’re looking for some authentic and truly epic ethnic cheap eats, head over to Balompié Cafe in the Mission. For less an a ten dollar bill I was able to fill up on incredibly delicious El Salvadorian food and still had more than enough money left to wash it down with a beer. That’s pretty amazing if you ask me. 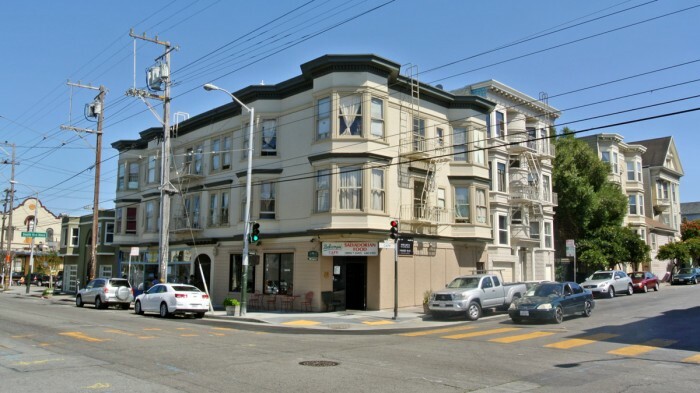 Got another excellent cheap eats spot in the Mission I need to check out? Let me know in the comments below.